Three youth orchestras featuring some of the county's finest young musicians join forces to present an inspiring programme including excerpts from Dvorak's "New World" Symphony, Bernstein's "West Side Story", Prokofiev's "Romeo and Juliet", and contemporary composer Bill Connor's work "Turning Circle" for orchestra and choir. 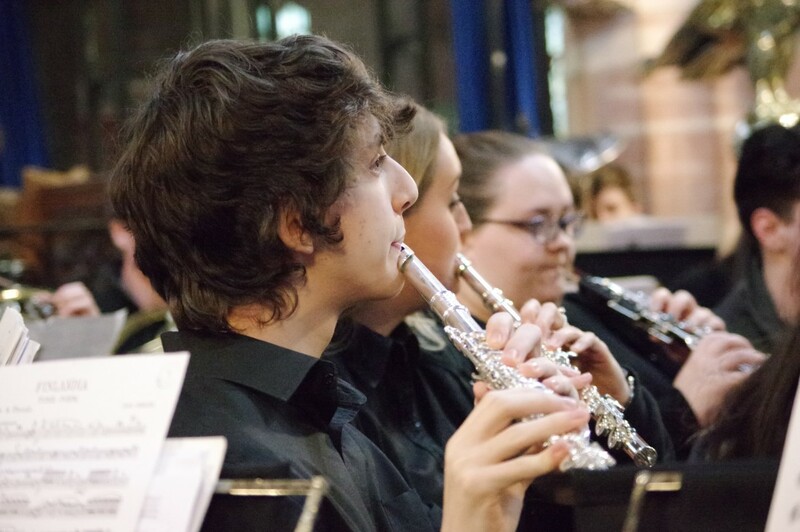 Lancashire Youth Symphony Orchestra and Lancashire Schools Symphony Orchestra are two of Lancashire Music Service's County Ensembles, which offer the opportunity for committed young musicians to take their music making to an advanced level. The Lancaster Grammar Schools Joint Orchestra brings together students from both Lancaster Girls' Grammar and Lancaster Royal Grammar Schools. The orchestra has been established for many years now and provides a platform for the more advanced students to experience playing orchestral repertoire.